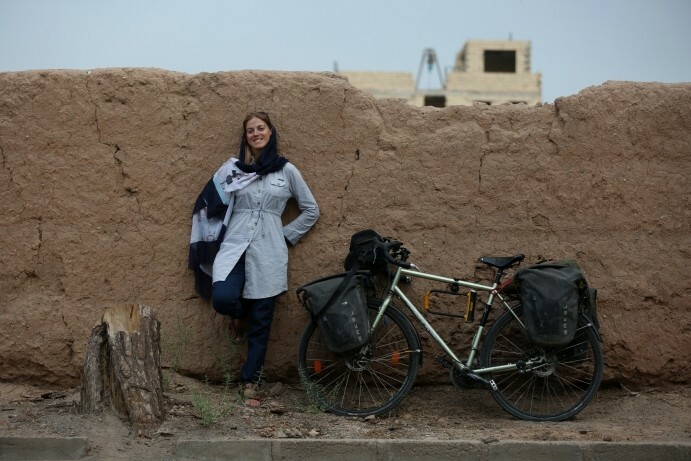 The day Rebecca Lowe left London to embark on an 11,000km cycle through the Middle East to Tehran, she was deeply unprepared. She wasn’t fit, had never used panniers and had no sense of direction. It was also a good half decade since she’d last cycled up a hill. But for all her doubts, she was dedicated to the task at hand. Her aims were simple: develop enviably shapely calves; survive; and shed light on a region long misunderstood by the West. Mostly she hoped to show, at a time of increasing prejudice and division, that the bulk of the Middle East is far from the heady morass of violence and fanaticism many people believe. And that a woman could cycle through it safely. Contrary to most people’s expectations, the gamble paid off. Not only did she survive, but she was privileged to discover an enchanting world of warmth, colour and compassion – a world far safer and more familiar than she could ever have imagined. Hear about Rebecca’s year-long adventure through Europe, Turkey, Lebanon, Jordan, Egypt, Sudan, Oman, the UAE and Iran. Discover how she collapsed from thirst in the Sahara, was stalked by police in Egypt, hit the party circuit in Iran – and managed to stay on her bike despite eating a Guinness World Record number of kebabs.